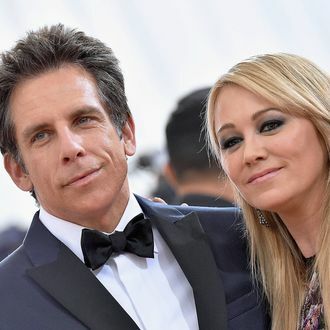 After 17 years of marriage, Ben Stiller and Christine Taylor have just announced that their marriage has come to an end. “With tremendous love and respect for each other, and the 18 years we spent together as a couple, we have made the decision to separate. Our priority will continue to be raising our children as devoted parents and the closest of friends. We kindly ask that the media respect our privacy at this time,” the pair told People via a statement Friday. Parents to 11-year-old son Quinlin and 15-year-old daughter Ella, the pair married on May 13, 2000. The Meyerowitz Stories actor and Search Party actress co-starred in a number of comedies throughout their relationship including Zoolander, Dodgeball: A True Underdog Story, Tropic Thunder, Arrested Development, and Zoolander 2.